The Civil Air Patrol’s national vice commander, Brig Gen Reggie Chitwood, yesterday lost his bid for re-election to a fourth term in office. CAP national commander Maj Gen Amy S. Courter finally has a second-in-command who is in her camp. Col Chuck Carr, the CAP’s Great Lakes Region commander, replaces Chitwood. Carr was one of two candidates who had Courter’s endorsement. The other was Col Bill Charles, who has held numerous senior positions in the CAP. There was a big field of candidates and worry that split votes might give Chitwood another win. Through the ballots Chitwood held a consistent 27 votes while the rest of the votes consolidated, finally with enough of a majority to elect Carr. The election not only removes Chitwood from the national vice commander’s slot, but removes him from any voting boards, including the Board of Governors (BoG). Chitwood is the prime suspect for vicious and distorted leaks from the BoG to Ray Hayden, owner of CAP Insights, a webpage that has been supporting Chitwood. Chitwood was a Pineda appointee, though he did win two subsequent squeaker elections in his own right. NOTF likes to think our coverage of Chitwood over the past year has played a role in his ouster. We understand that when the candidates were presenting, Chitwood was asked pointed questions, one or two that may have been informed by NOTF’s coverage – questions Chitwood did not answer. Often – but not necessarily – the person who is in the vice commander’s slot in the last year of a national commander’s tenure succeeds to the commandership. Chitwood’s loss at least weakens his bid for the national commander’s slot next year. If Chitwood should take the national commandership, that would probably mean the undoing of all Gen Courter and her team have worked to establish. This is a sign Courter’s positive legacy may be sustainable. NOTF regards this election as another big win for Gen Courter in a nasty culture war that has raged since she took office three years ago. Gen Courter has been working to establish a culture of accountability and professionalism in the CAP. She has worked smartly, valiantly and persistently against entrenched corruption on all sides, which is now falling back. She has worked while under constant personal attack. In March of this year, according to one of those leaks from the BoG, she persuaded Senator Carl Levin, chairperson of the Senate Armed Services Committee, to order an investigation of the CAP. That investigation is still underway. We have no news of it yet. The fact that Chitwood was allowed to run tells NOTF two additional things. First, NOTF had hoped for changes to the CAP’s governance model that would allow the national commander to name his or her own second-in-command. Chitwood is not the only vice commander who has sabotaged a national commander in the CAP, and America learned separate elections don’t work in 1796. Second, this means that apparently Chitwood is not under investigation and therefore has not and cannot be disciplined for his constant efforts to undermine the national commander, his role in leaks from the BoG, etc. NOTF has been told that closed-door meetings have been running since Tuesday. The CAP is not video-streaming the proceedings of this NB as it has most others, for reasons we do not know. We suspect – but don’t know – that quite a few battles may have been won behind those closed doors and before the full NB formally convened. We understand that the Membership Action Review Board (MARB) heard the appeal of Rhode Island Wing Commander Col Gagliardi against his recent removal. We hear Gagliardi won the appeal. This is disappointing, but no surprise. 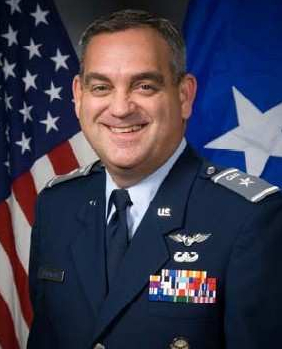 Most members of the MARB are appointees of Gen Rick Bowling, a former CAP national commander and chair of the CAP’s BoG. As NOTF has reported, Bowling has been at the very center of CAP corruption going back at least a dozen years and he is a big player in the same corrupt core that brought you Pineda. MARB members hold their positions for life – or until they resign. The MARB is the last stronghold of the “Corrupt Ones.” Over the past year, we have seen more and more actions appealed to the MARB, where the decisions of the Courter team have been reversed. Our informants at the National Board meeting tell us there is ongoing discussion about replacing members of the MARB. We do not yet know what it would take to make that happen, probably a change to the Constitution and By-Laws of the CAP. The MARB also recently reversed the removal of Col John Tilton from the BoG, as NOTF has reported. CAP Insights blamed Courter for this allegedly improper removal, however, it was not Gen Courter who personally removed Tilton – that was done by a vote of the NEC. It is not clear that the MARB’s action was proper. NOTF understands a closed-door meeting of the NEC may begin to deal with this issue. The MARB is appointed by the CAP’s BoG. We believe the NEC can request action of the BoG. Col Tilton was appointed to the BoG by Pineda and has been supported by two successive chairs of the BoG, Bowling and Hopper. The reversal of Col Tilton’s removal by the BoG probably means that Lt Col Ned Lee was pushed back off the BoG. Lt Col Ned Lee is a long-term CAP member, a Spaatz cadet who met his wife in CAP. Lee is a superior court judge from California. There is a hope that Lee would succeed Hopper as the chair of the BoG, bringing professional judicial experience and an appreciation of governance issues to the CAP. Lee, by the way, was appointed by Gen Courter and is representative of the high caliber of leadership Courter is trying to bring to CAP affairs. Be the first to comment on "Chitwood Out as National Vice Commander"